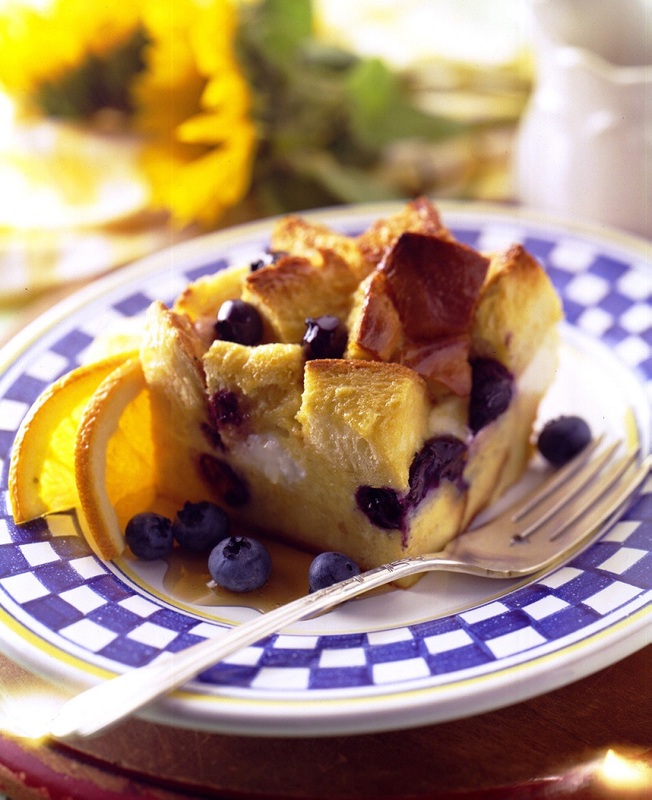 Serve this sweet breakfast bake at your next brunch party! This recipe serves nine portions. Remove crusts from bread and cut in 1-inch cubes (makes about 10 cubes). Cut cream cheese in small cubes (makes about 1 cup). Grease baking dish and place half of the bread cubes in the dish. Scatter cream cheese cubes and 1 cup of blueberries over the bread. Top with remaining bread cubes and blueberries. In a bowl, combine eggs, milk, maple syrup and butter. Carefully pour over bread mixture. Bake for 60 minutes and serve with additional maple syrup, if desired.